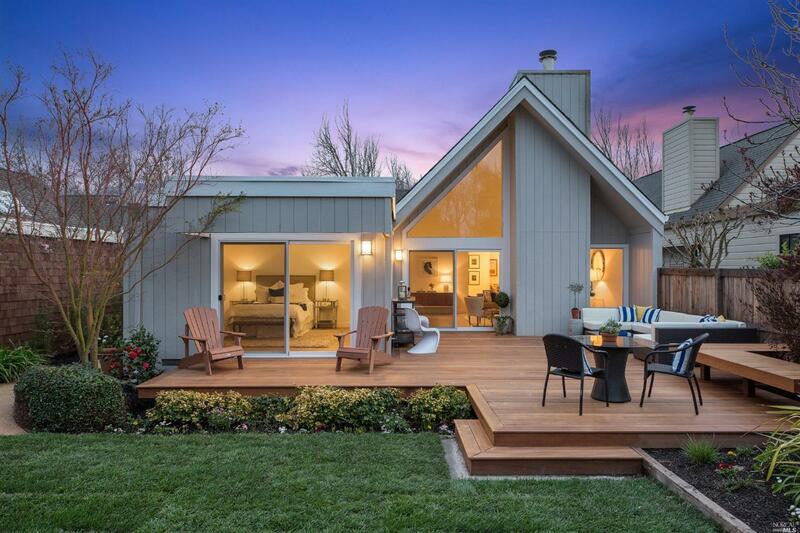 Sophisticated contemporary, comprehensive remodel. Light-filled 2bd/2ba + den accesses Creekside Village trails. NEW: plank wood floors, 7' doors, Emtek hardware, smooth walls, Ringhult kitchen w/quartz counters & high end appliances, granite fireplace surround & hearth, Carrera baths w/glass sliding doors & Eurostyle faucets & lighted mirrors, Electrolux W/D, painted garage, all landscape, Batu deck and more. Exquisite details, ready to move in.